Root is one of our most popular new games. This isn't technically its first appearance, but when it showed up a few months ago, it sold out before we had the chance to blog about it! 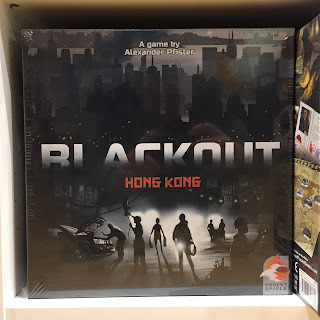 This game of asymmetric strategy is a treat treat. With gorgeous art, set in a cute and colorful woodland world, the game beneath is one of ruthless competition. 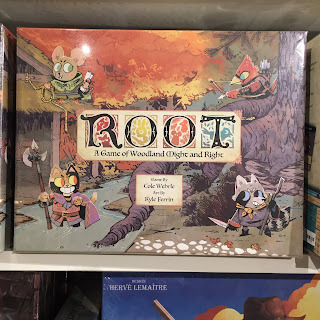 Players control one of four unique factions fighting for control of the forest: the industrial Marquis du Cat, the aristocratic Eyrie, the downtrodden Woodland Alliance or the roving Vagabond. Each plays differently, and player interaction is constant and relentless. 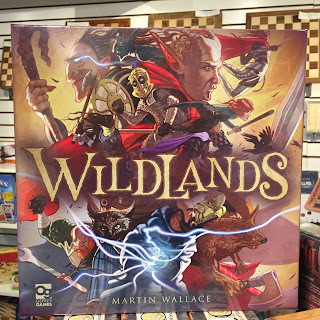 Can you master the twisting paths of the woodlands and find your way to dominion? and secure their own power. Organize convoys, secure zones, and gain influence in the darkened city to claim victory. 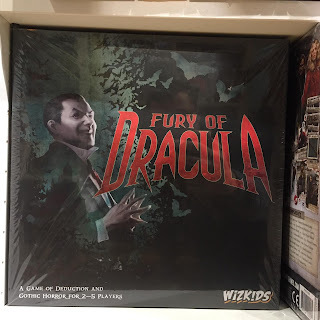 Returning after some time away, Fury of Dracula is a game of cat-and-mouse across a Europe draped in Gothic Horror. 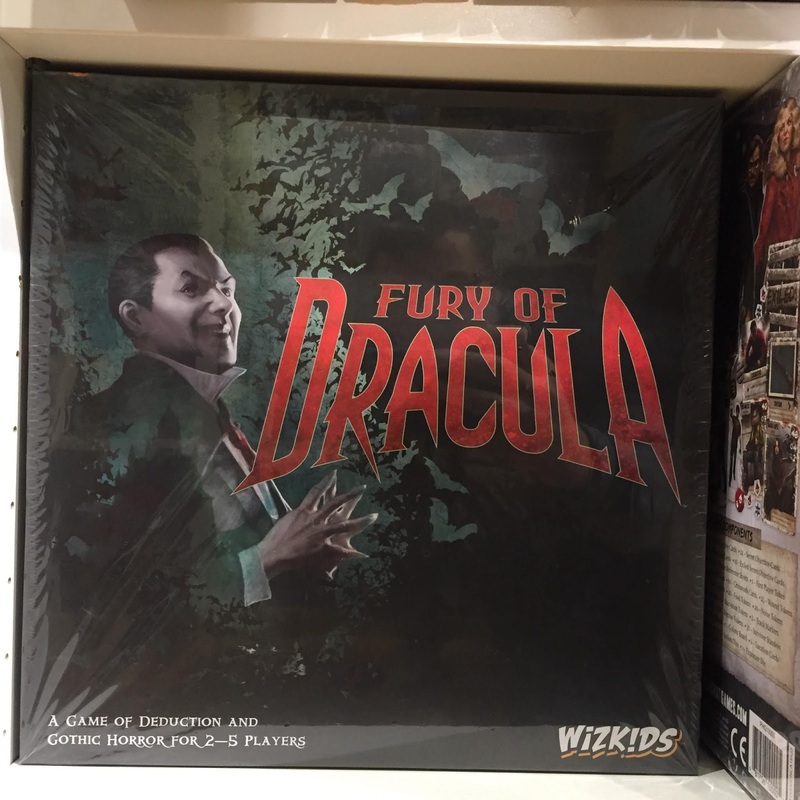 One player dons the cape of the immortal Count Dracula, spreading his influence across Europe, while the rest heft stakes as vampire hunters. Dracula will lay traps and spin plots, growing his influence over the continent, while the hunters must turn all their efforts toward tracking down and ending the vampire. Only one can prevail in this deadly game, and Europe itself hangs in the balance! A perennial favorite has returned! 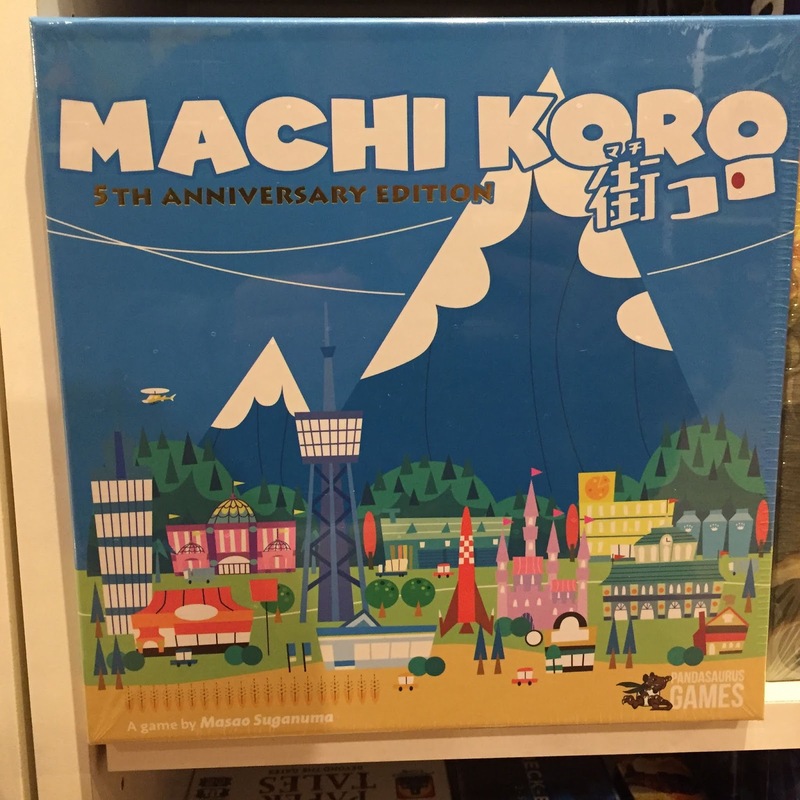 Machi Koro, the game of town building, has been reprinted in this 5th Anniversary Edition! Assemble your township out of a wide variety of building cards, each with unique effects. You can even specialize your town—will you be a prosperous town of producers, or a glitzy entertainment district draining your opponents of their hard-earned cash? Only the most successful mayor can claim victory! On the highest peaks in the world, far above the gentle climates humans were designed to live in, the line between survival and death is razor-thin. 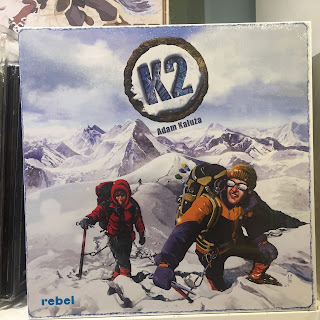 In K2, that's the line you must walk. 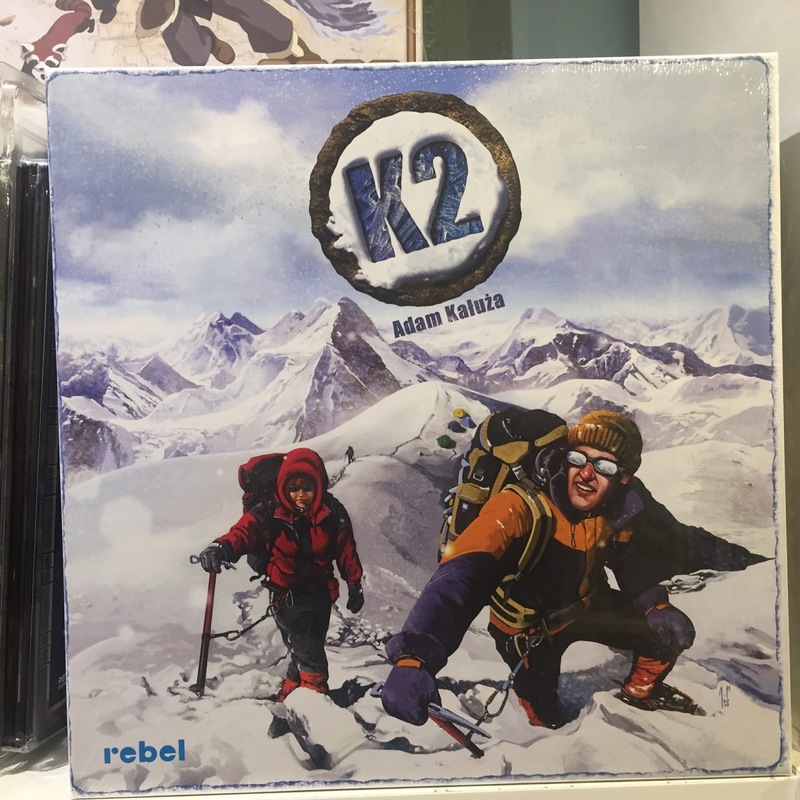 K2 is a game of hand management and survival on one of the world's most difficult peaks to climb. Manage your supplies and your deteriorating physical condition as you race to the peak. Beware, for storms are frequent and deadly in this region. Will you return in triumph, or remain forever on the mountain? The apocalypse has come and gone, and left all of us in its wake. Wildlands is a game of strategy and dominion set in a fantasy wasteland. Deploy your minis, craft your orders, and make use of a huge diversity of powers and strategies to make sure no two sessions feel alike. Wildlands is a must-try for any strategy fan. 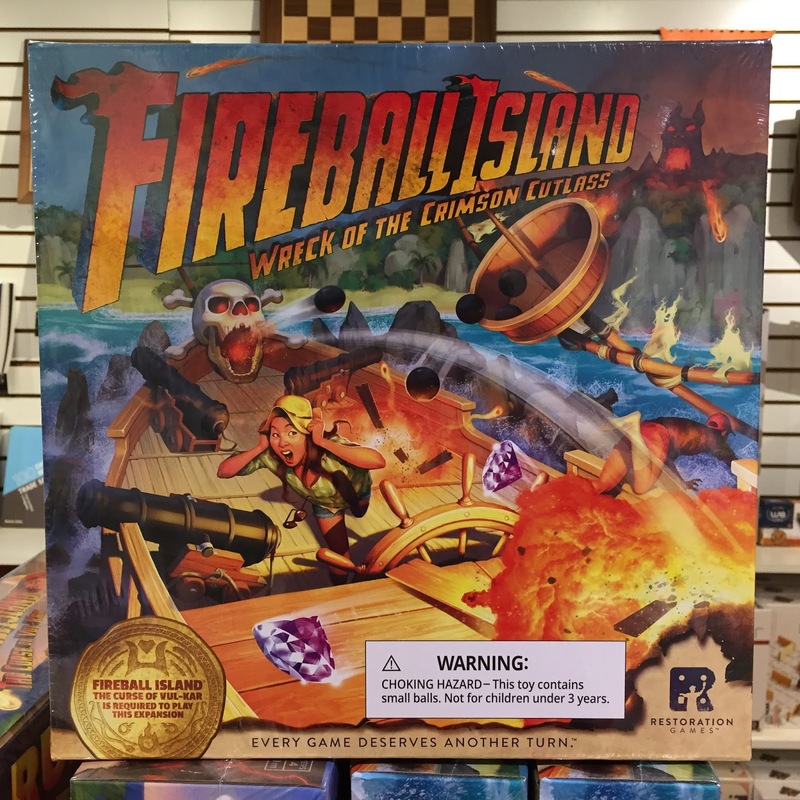 A new expansion to the revived 80's classic, Fireball Island: Wreck of the Crimson Cutlass adds a new area: A half-sunken pirate ship! 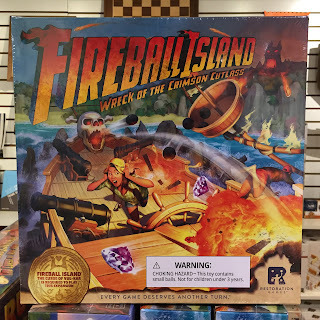 There's gold a-plenty available for the daring, but watch out for cannonballs! 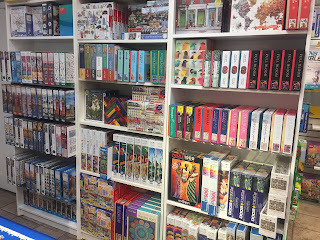 Often, we at Labyrinth are asked to give recommendations for what game to get for a sports fan. 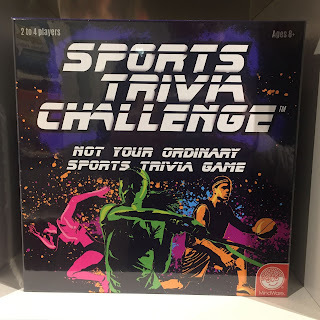 Well, now we have an easy answer: Sports Trivia Challenge. 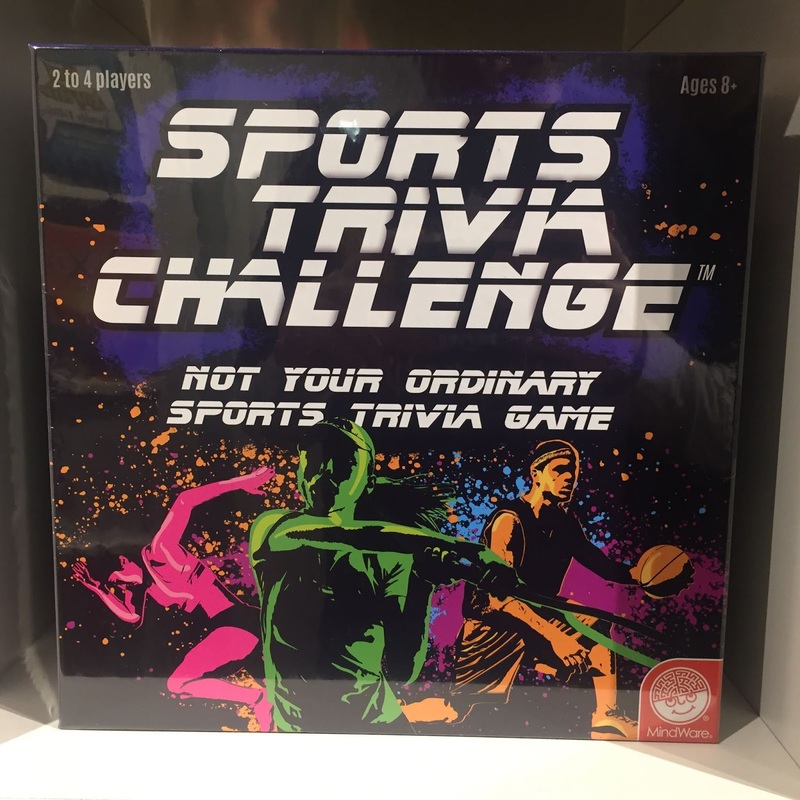 For a casual game night or a dedicated fan, this is an excellent gift for any sports-minded gamer. 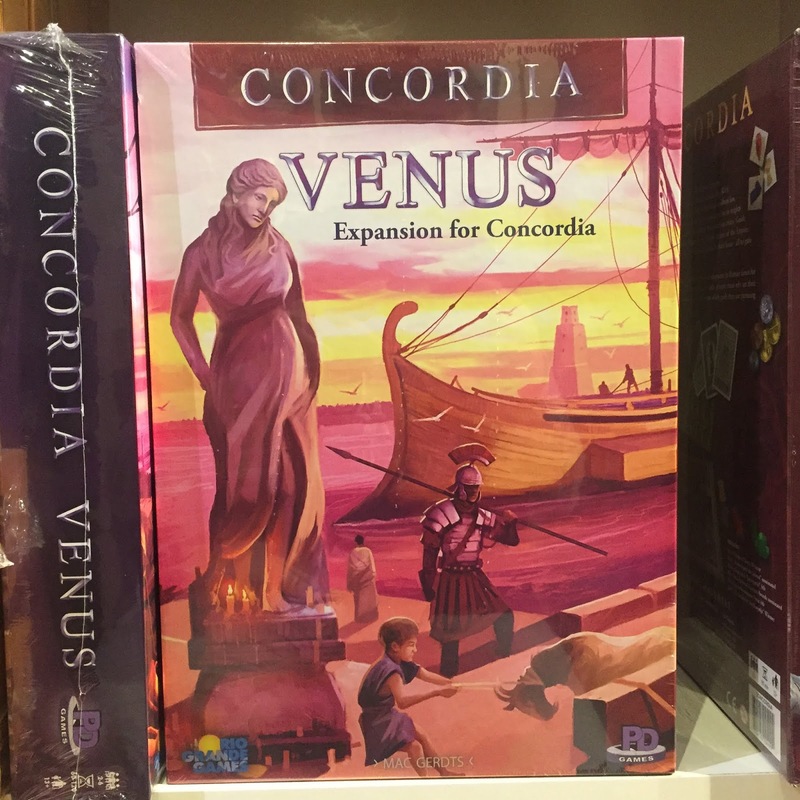 Concordia: Venus is an expansion for Concordia, adding in new maps, new cards, and even a team mode! This expansion is an excellent way to get your copy of Concordia feeling fresh and new. 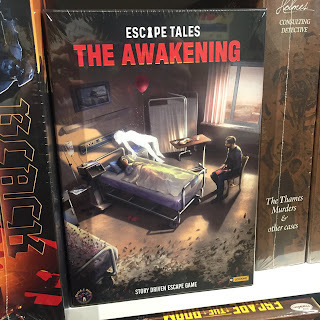 Escape Tales: The Awakening is a story-driven puzzle game in the vein of the newly-minted escape room genre. Players take on the role of a father, desperate to save his daughter from a coma no one can cure. To help her, he must dive deep into the realm of subconsciousness, facing bizarre dangers and puzzles along the way. With an engaging storyline and excellent puzzles, Escape Tales: The Awakening is a perfect game for any puzzle-minded player. 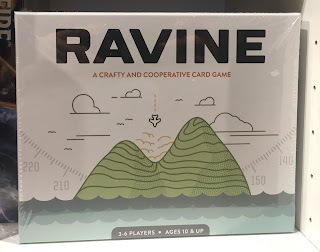 Ravine is a cooperative game of survival in a bad situation. You, the players, have survived a plane crash, but you're trapped in a wilderness ravine and may not survive the night. Work together to gather resources, craft shelter, and more, but beware: The strain of survival wears hard on a modern psyche. Lose too many Heart cards and you'll go mad! Ravine has been especially popular at our Thursday Night Board Game Nights. Check it out! 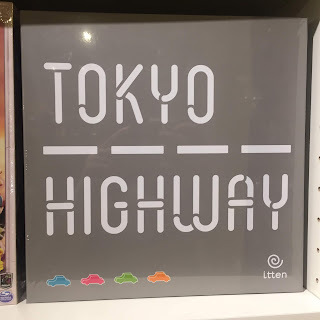 Tokyo Highway is dexterity game done in elegant minimalism. Comprised of thin gray roads, pillars, and tiny colored cars, the object is to construct a tangled nest of under and overpasses. Each road placed scores points, and you gain bonus points if it passes over or under an opponent's road. 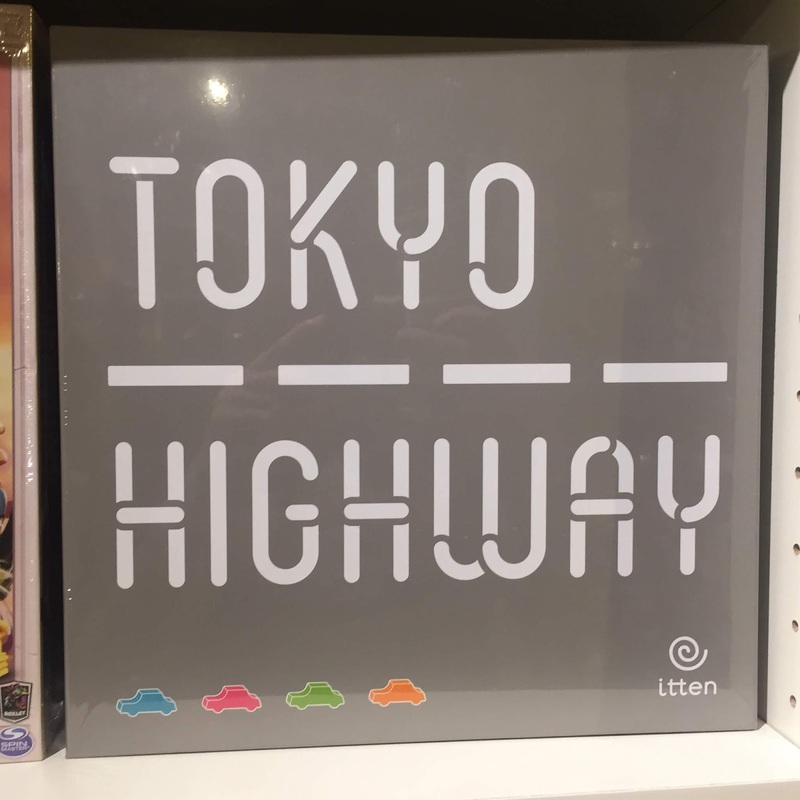 With a keen eye and steady hand, you'll find yourself Tokyo's master road builder. 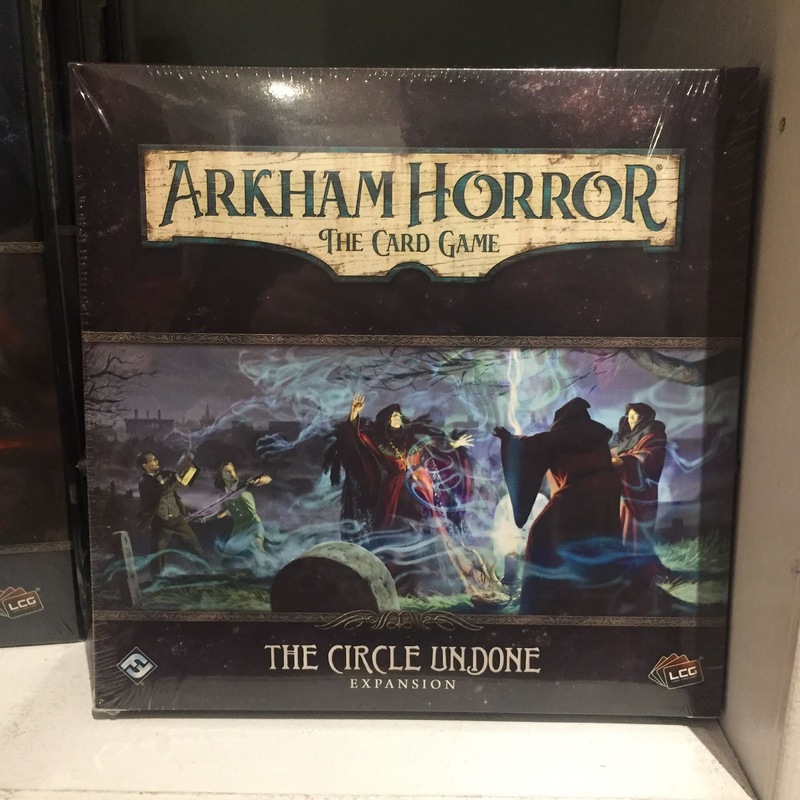 Darkness returns to the city of Arkham in The Circle Undone, the first expansion in Arkham Horror's new cycle. The Silver Twilight Lodge is conducting grim business beneath the cover of night, and people are starting to disappear. Return to Arkham and brave the darkness brewing above the city. 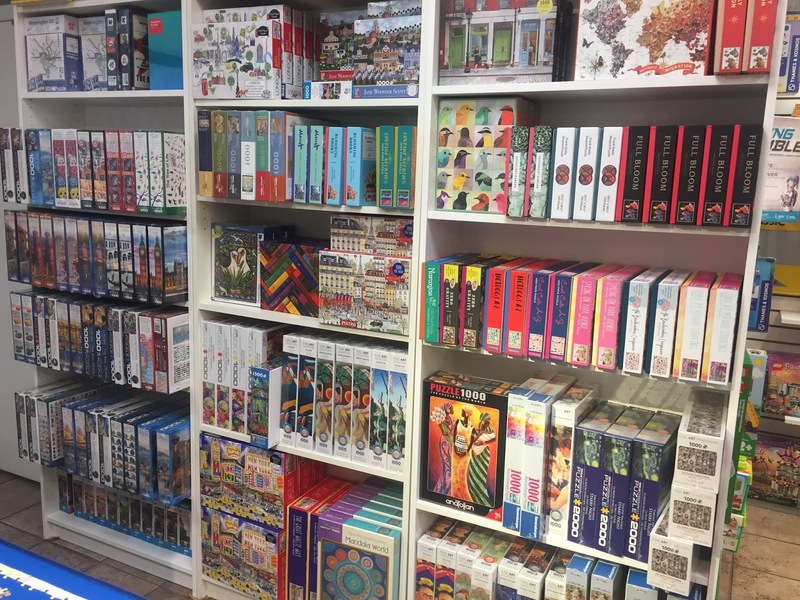 After weeks of dilapidation, we've finally restored our puzzle section to its full glory! Come see!